Gobelins, Paris 1942. 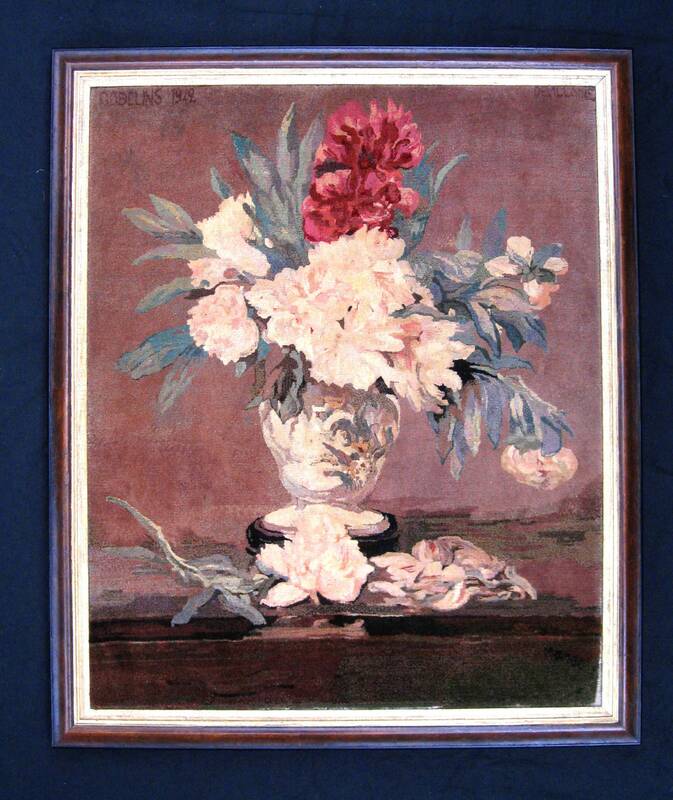 The original painting by Edouard Manet was completed in 1864 and hangs in the Musee d’Orsay, Paris. 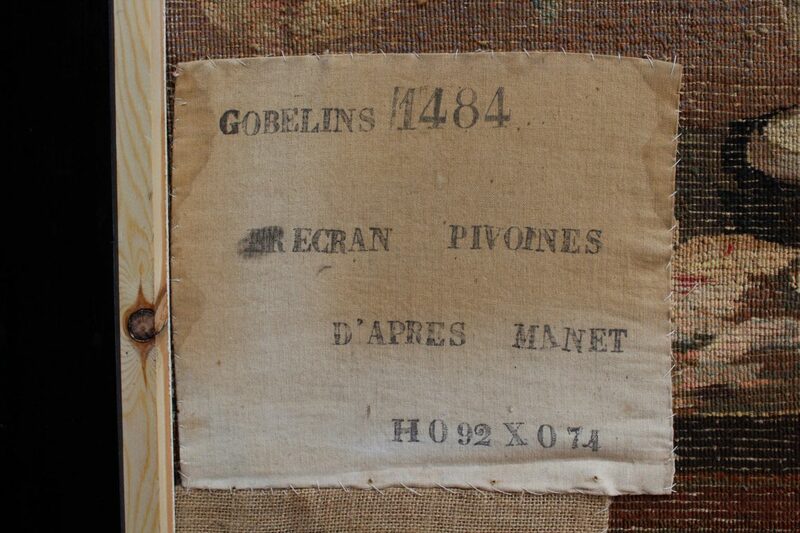 This very successful rendition of the painting in the medium of a rug is signed in the top left-hand corner “Gobelins 1942” and “Devillaine” in the top right-hand corner. A copy of Manet’s signature is in the bottom right-hand corner.